The mission of Hartland Community Education is to furnish the community of Hartland, through citizen involvement, programs in recreation, enrichment and cultural activities providing lifelong learning. 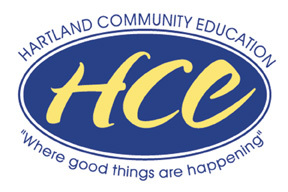 The Hartland Community Education Office is located at 9525 E. Highland Road (1 mile west of US 23) in the Hartland Educational Support Service Center. For more information call 810.626.2150. Hartland Community Education has many wonderful programs to offer. Please visit our online catalog by clicking "Register" in the main navigation menu. Learn more about our many programs including preschool, aquatics, youth and adult classes and the Hartland Senior Center. Register for enrichment/recreation programs, classes, sports teams and more. We offer secure, safe online class registration.